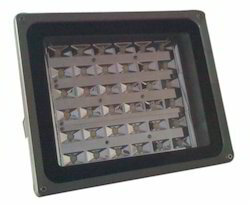 We are proficient in the manufacturing and trading of supreme quality LED Flood Light. It uses the lithium battery driver that can be charged. Known for its longer functional life, easy installation and perfect finish, the whole range of the LED flood lights offered by us is widely considered among our respected clients. We are one of the few names that is engaged in the manufacturing and trading of 50W LED Flood Light. The offered product is highly regarded for its perfect finish and easy installation. Attributing to longer operational life, excellent illumination and optimum heat dissipation, the whole range of the flood lights offered by us has amassed words of intense praise among our clients. Looking for LED Flood Light ?